"It is a place where I found the authentic answers to my questions." 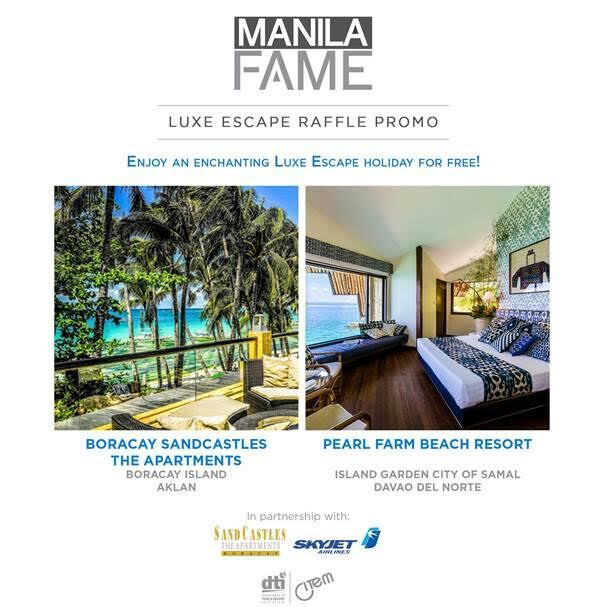 I know by myself that I can not afford to miss this. 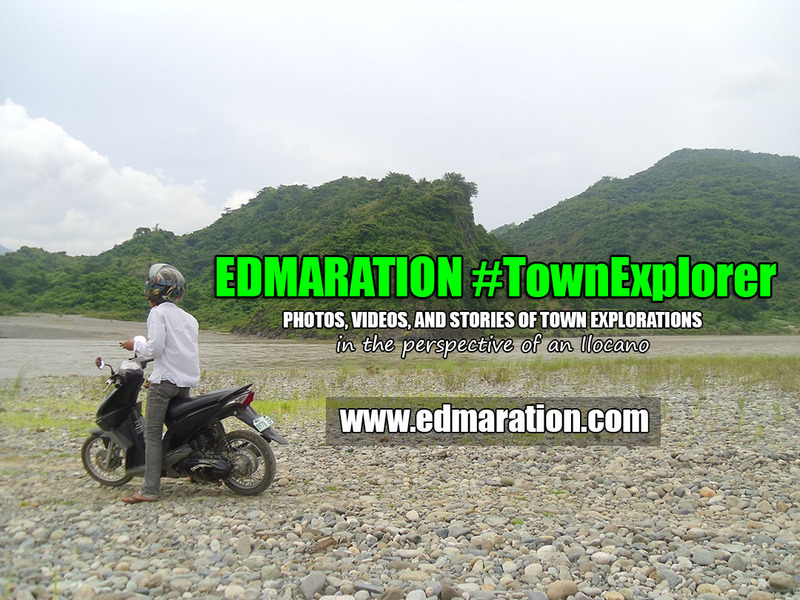 It is essential to my town explorations. 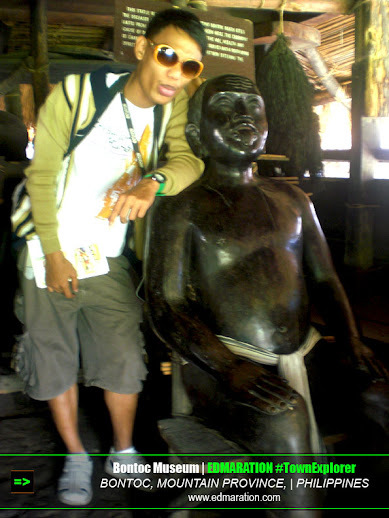 Visiting museums educate me a lot... and it is where I am able to find, mostly, the answers to my questions. The knowledge it brings is priceless. Sadly, not everyone is a big fan of museums. Many find it boring, or creepy. 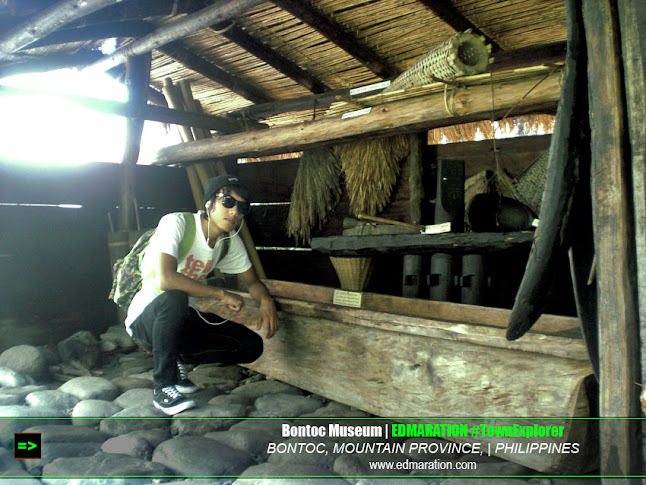 From my end, I find museums interesting and fascinating. 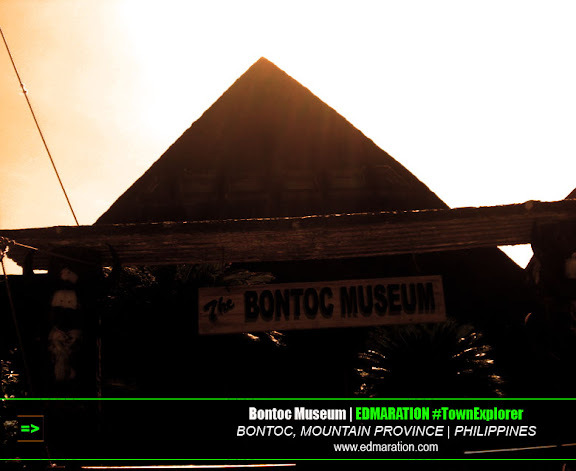 In Bontoc town, there is a museum. Ah, great thing! 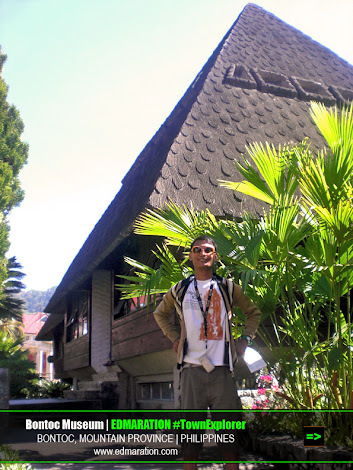 It is a place where I found the authentic answers to my questions. 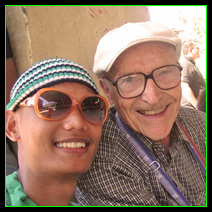 Although I love asking the locals about several questions lingering at the back of my head, sometimes it is not easy to reconcile everything especially if the people who are answering my questions have different versions of the story. 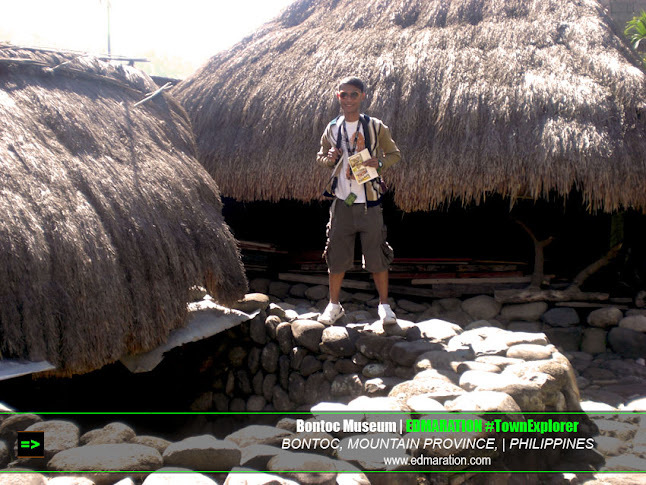 I learned to appreciate the culture and traditions of the Igorot people and that Igorot is a collective term for the "mountain people." 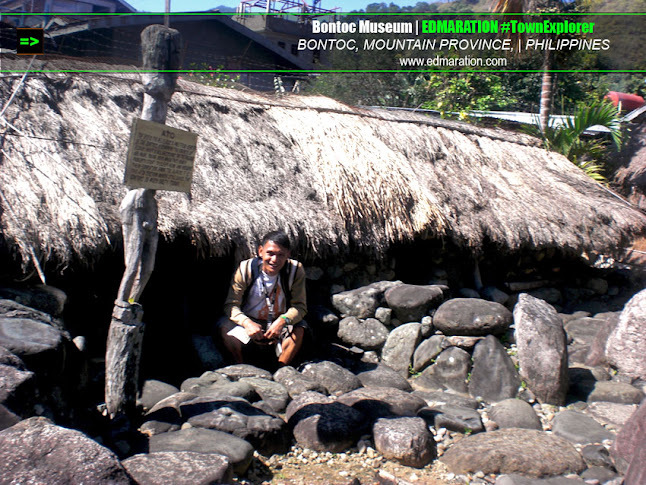 This museum explained to me (through the things I saw inside) that during the precolonial times, the Igorots already have a well-organized society lead by the tribal elders. 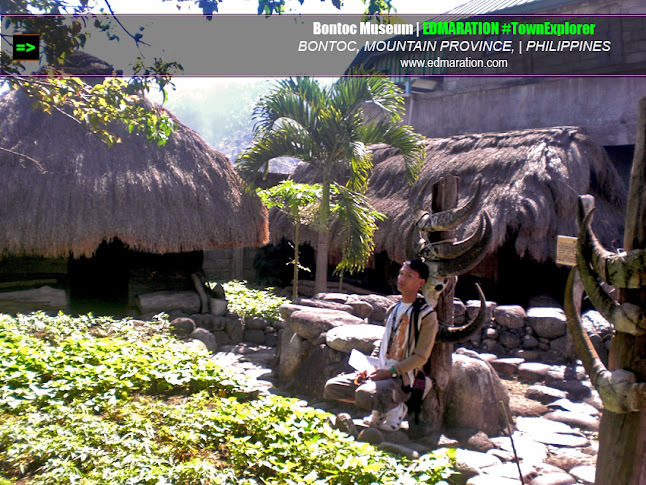 The major Igorot tribes are the Ibaloi (Benguet), Bontok (Easter Half of Mountain Province), Kankana-ey (Western Mountain Province extending to Cervantes, Ilocos Sur and some parts of Benguet), Kalinga (Kalinga) and Ifugao (Ifugao). 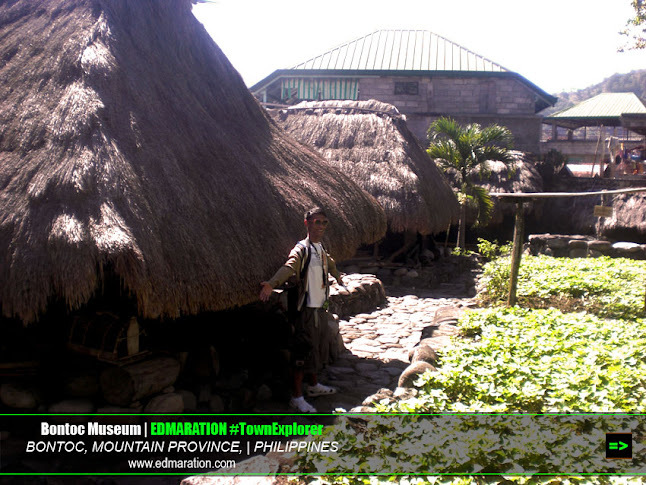 The museum also included the Tingguian people of Abra. 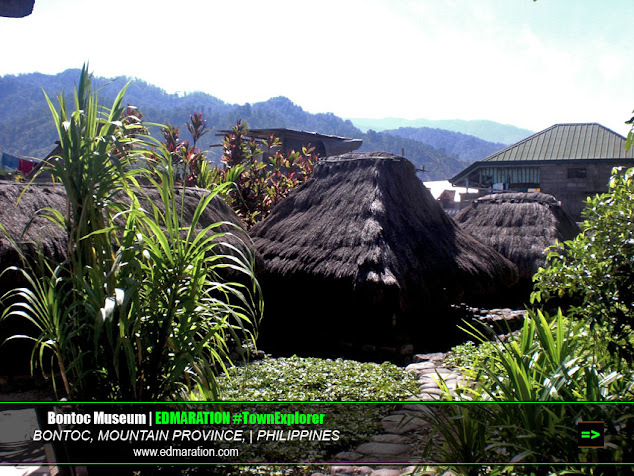 Tingguian, like Igorot, also means "mountain people" and Tingguian is also a collective term for the 12 subtribes of Abra. 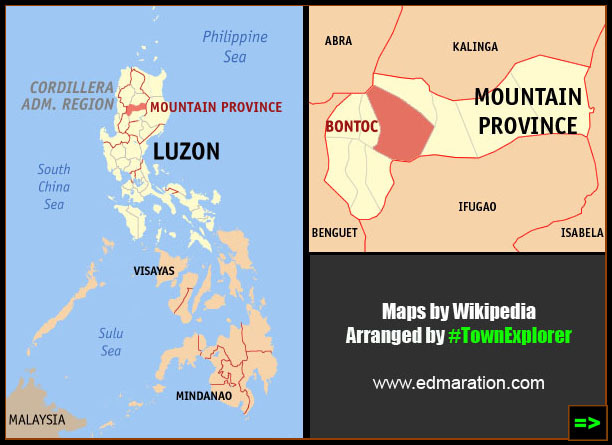 So somehow, Tingguian and Igorot could be the same, if not the same. 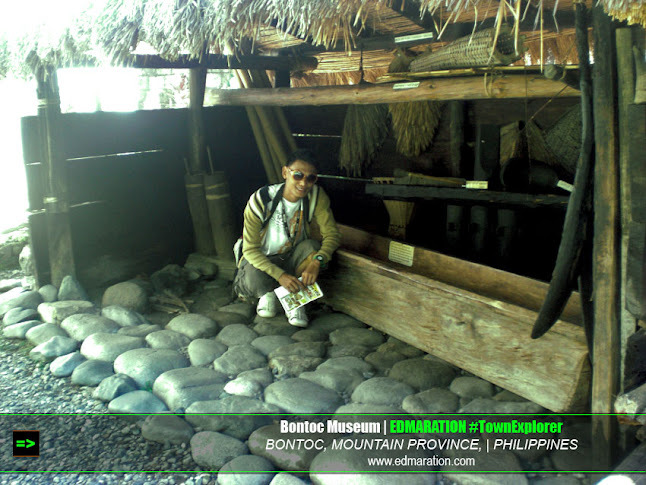 The design of Bontoc Museum is patterned from the traditional Bontok hut with pointed roof. A graduation ceremony was being done in front of the museum when I got there so I was not able to get a photo of the full length of the museum. 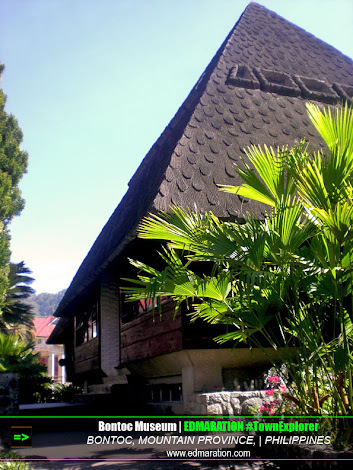 The museum has 3 pointed roofs. 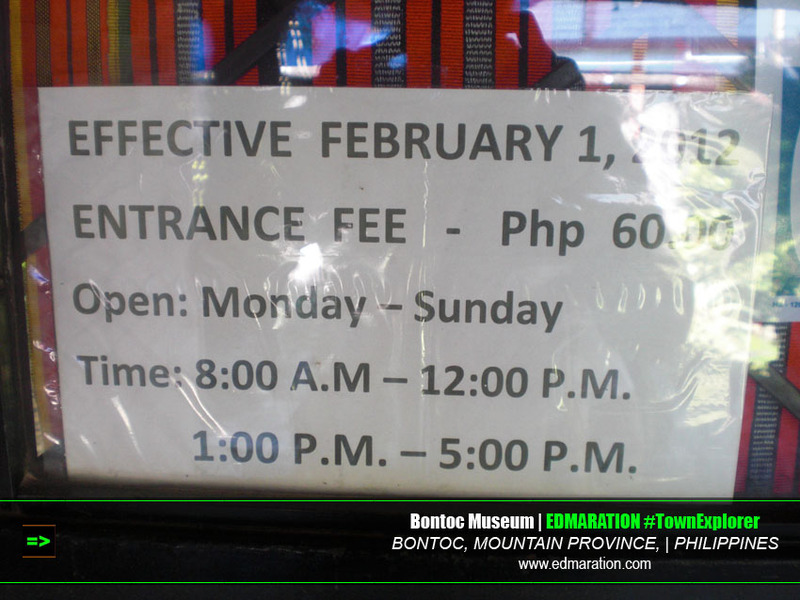 The entrance fee to Bontoc Museum is 60 pesos. It is open daily. Opening time is 8:00 am then closes at 12:00 pm for the lunch break then opens again at 1:00 pm and closes at 5:00 pm. 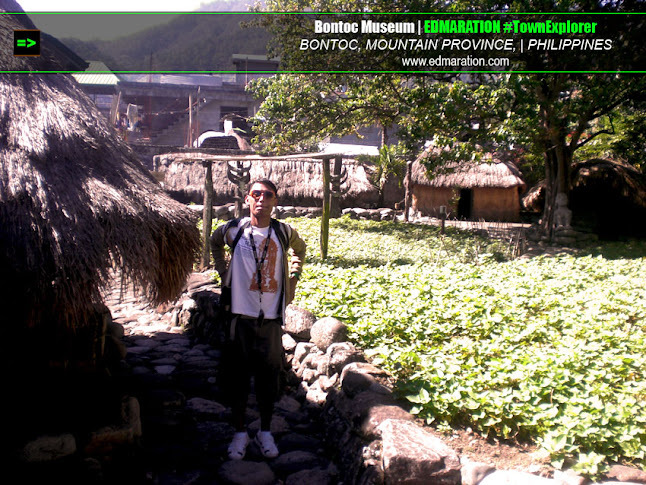 Since I can not instantly memorize the name of the streets and landmarks in Bontoc, I can not provide a comprehensive information on how to go to this museum so the best advise I could give is to ask the people how to get here. 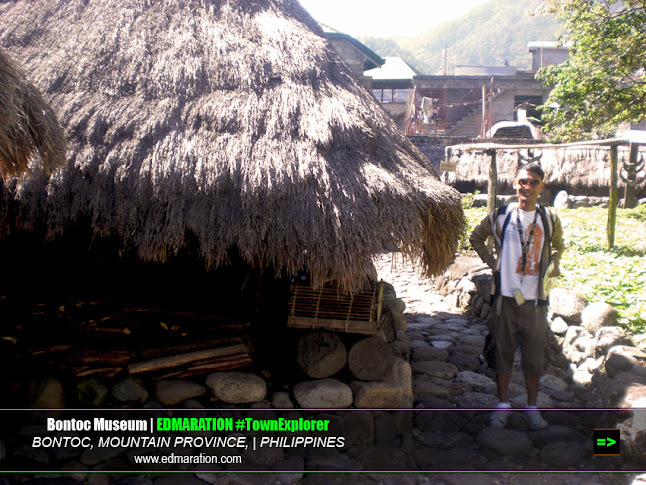 It is a 15-minute walk from the Bontoc town hall and it is easy to reach this museum. 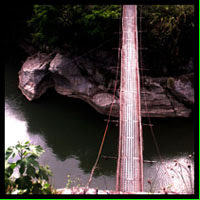 The locals can assist you well -- no need for maps and GPS. 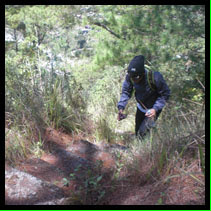 You can DIY this path. Taking a photo inside the museum is not allowed. But I tell you, if you are thirsty of this kind of knowledge, you will appreciate everything you see inside. 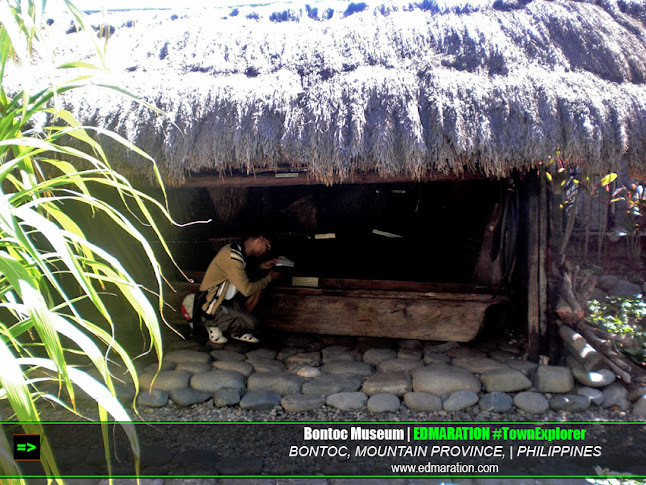 Most instruments (if not all) and tools of the Igorots are displayed here. 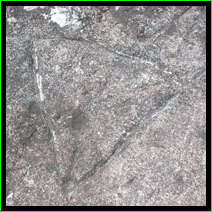 There is a specific term for each object that might not have a direct translation to other dialects or languages -- not even English. That makes them unique... their identity is overflowing. 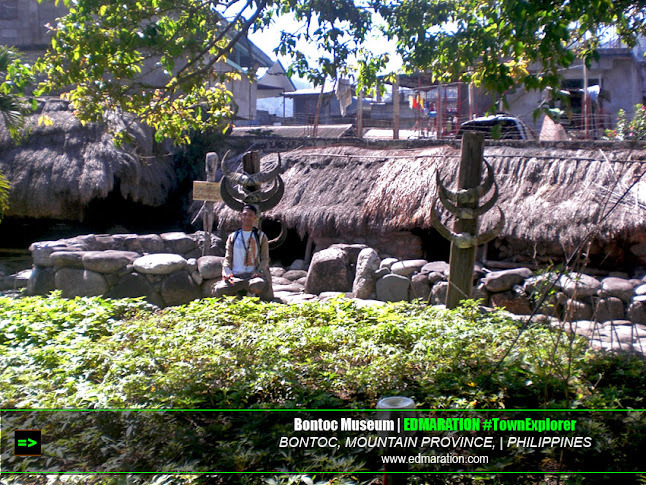 At the back of the Bontoc Museum is a mini Bontok tribal village. 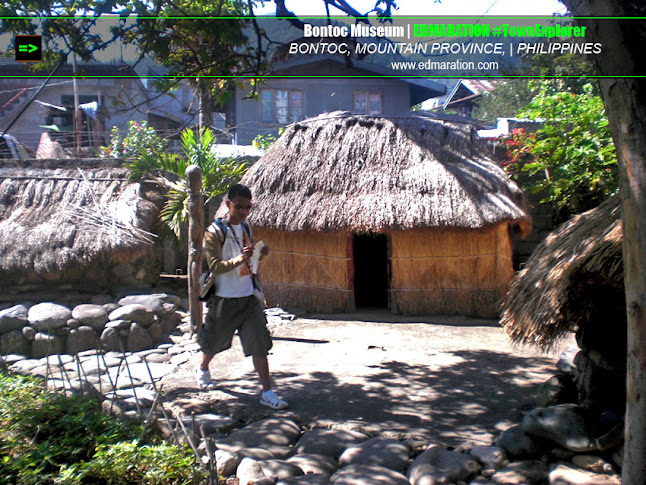 It is a replica of what used to be an actual Bontok village from the past. 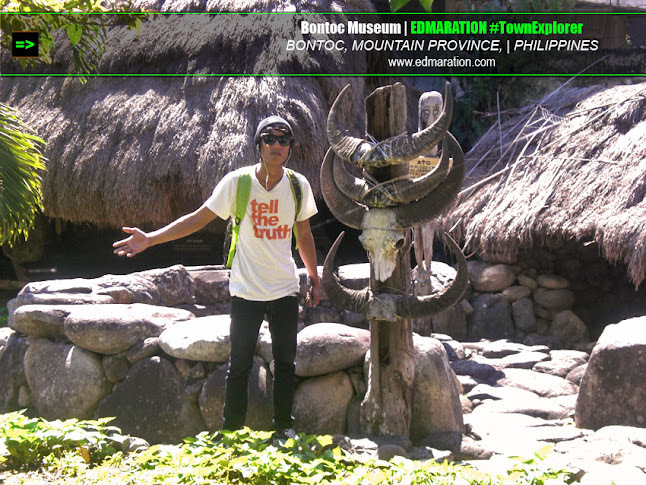 At this mini-village, I learned how systematic the society and civilization of the Igorot people. 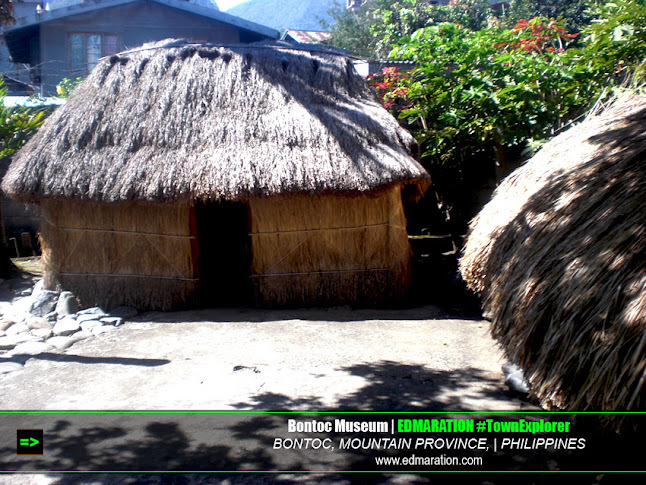 They have huts that if we compare them to our modern society, could be a residential house, a dormitory, a motel, a session hall, etc. 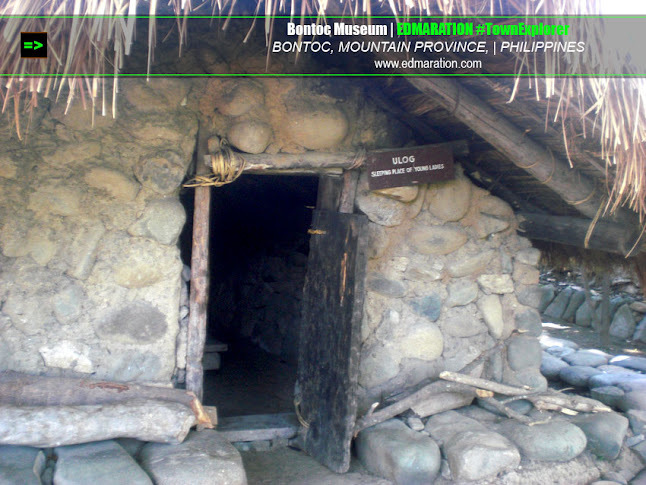 Dormitory: The precolonial Bontok villagers have a home for their young women called ulog. 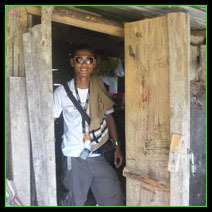 It is like a ladies' dormitory with a twist because these young women are being thought of the traditions and culture of their tribe. There's an education happening inside this ulog. 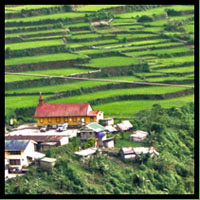 Motel: There is also a place for couples at the heart of the Bontok Village. I forgot how they call this house but for our contemporary culture, this could be a motel. 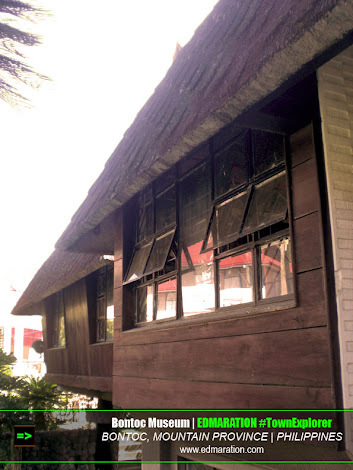 This precolonial motel is where "unmarried" couples do the love scene. 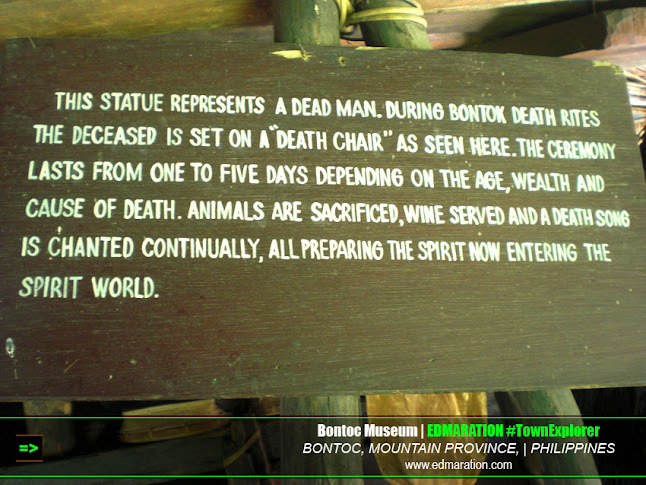 If the Bontok man can impregnate the Bontok woman, then they could proceed for marriage. If neither of them is capable of procreation, then they have to end the relationship as per tribal rules. 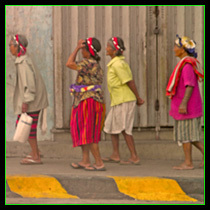 This Igorot culture is somewhat controversial and I guess through the Christianization of the Cordillera tribes, they have shifted, somehow, to conservative thinking. However, the modern day motel has popped out everywhere and experimentation may happen there. 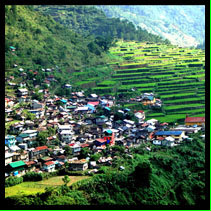 Now it is changing, if the man can impregnate the man, marriage now is optional -- a bad modern-day practice that I think worse than the traditional motel practice of the Igorots. 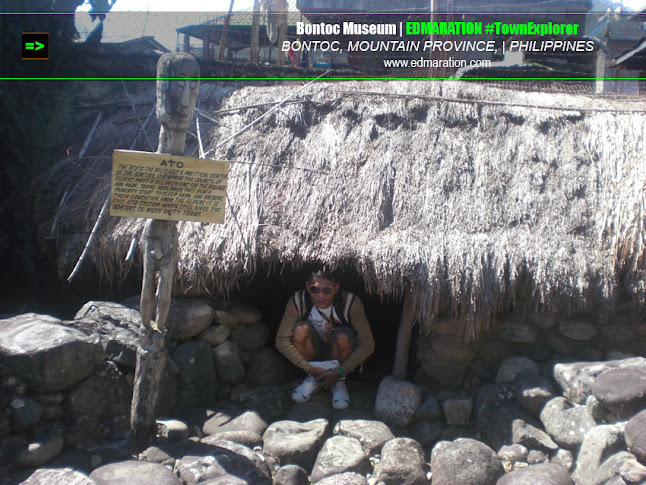 Ato: Ato is a sacred place for the Igorots. 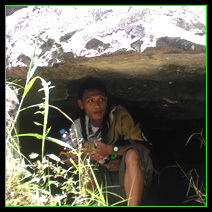 They consider it sacred although evidence of headhunting is very present here. There is unlawful killing yet still, a sacred place. 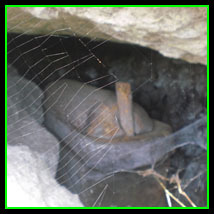 In ato, there are sculptures of human face placed inside. 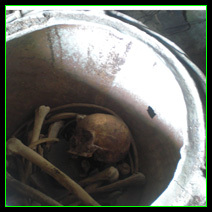 This represents a person killed by the tribe - the more head/face sculpture is present, the more persons are killed. 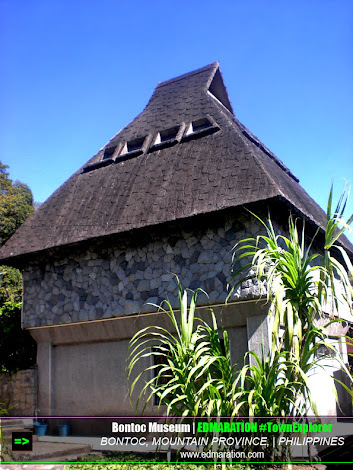 Ato is considered sacred because it is where the tribal elders and leaders meet to settle many things concerning their community and living. 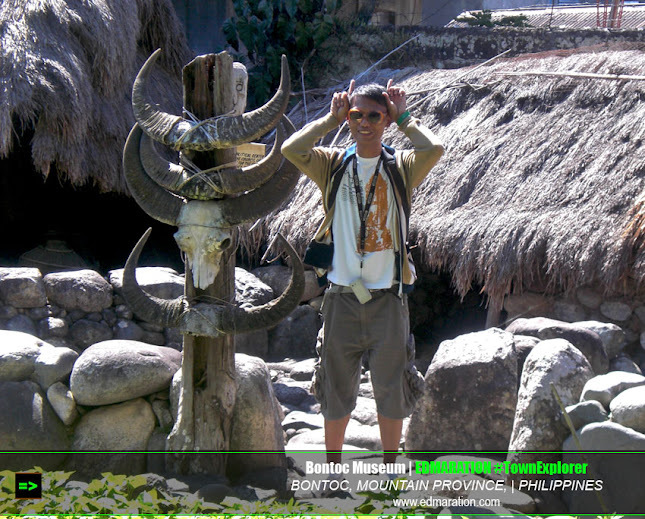 Ato is also a place where they do the tribal dances that honor their gods and the nature. 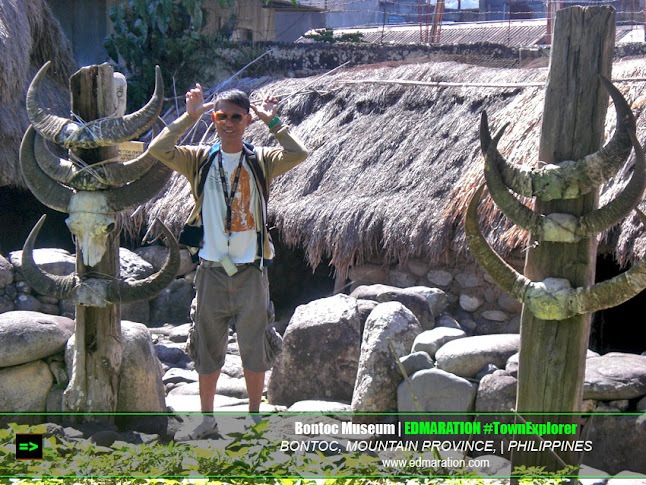 Remember, the Igorots used to embrace the concept of paganism. 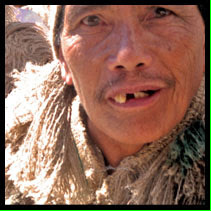 Young men in puberty also stay inside the ato and the elders teach them the ways of their culture as they grow up. 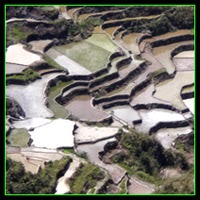 Click map to view latest articles covering "Mountain Province"